In the ongoing war for talent, specialists or professionals pose a unique challenge. In response to this it is important for organisations to find new and innovative ways of recognising, rewarding and retaining this critical category of staff in support of the overall talent management strategy. 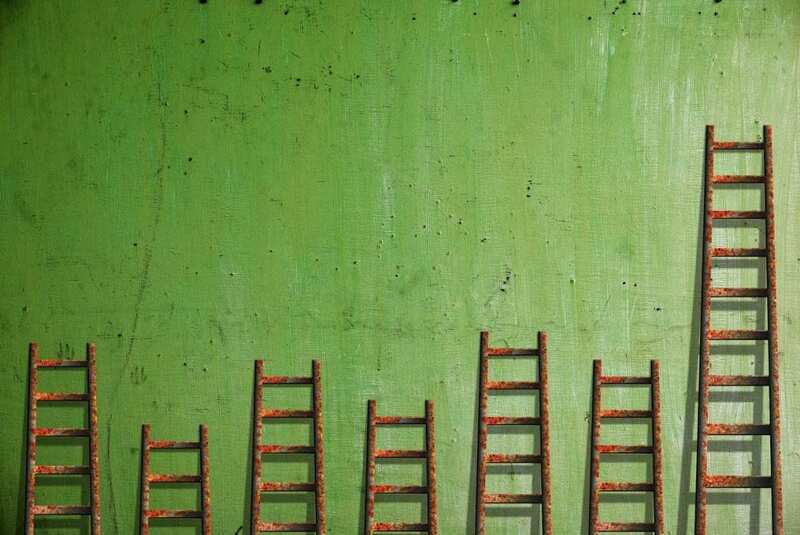 Professional career ladders provide a dynamic alternative to more traditional approaches, the value of which is perhaps overlooked or not fully appreciated by human capital practitioners. Professionals are very mobile and demand transparency on the process, timing and criteria that will be used to manage their career progression. Many organisations continue to use traditional criteria such as service or qualifications as the simplest way to manage promotions (e.g. Scientist to Senior Scientist). This approach fails to account for differences in performance, the contribution of different individuals, and accommodate the ‘high flyer’ whose value needs to be recognised independently of the prescribed requirements. Where performance measures are added as criteria it may be challenging to define and describe exactly what these are. This may increase the retention challenge, particularly in the first years after qualification where the individual is particularly vulnerable to poaching, at high cost, given the investment made in training and development in the early career phase. 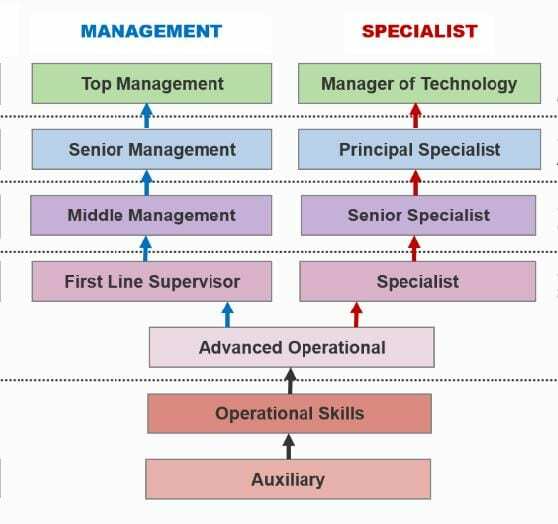 Later into their careers, the perennial challenge is how to accommodate and retain the professional who wishes to remain in the specialist arena and continue to achieve career advancement without moving into the management cadre. Where a dual career ladder for specialists and managers is provided, the challenge is how to define performance/contribution criteria that allow the process to be managed in a defensible manner that ensures equity and fairness. An alternative to the traditional approach to managing the careers of professionals is to develop career ladders that assess and reward the level of an individual’s work contribution, within a career ladder or job family. The approach assesses both “how well” they perform (traditional performance management) and at “what level” they perform (traditional job evaluation). A simple example of a career ladder would be a scientist at a certain grade with 3 levels of competency/contribution eg. entry, competent and advanced. The system is developed with the organisations business strategy as the starting point, in order to identify the behaviours and contributions that are critical to organisational success, across different levels and functional areas. Each professional is then assessed to determine the level at which they are able to perform against these criteria based upon their professional development at any point in time. The professional can then be correctly placed against the career ladder and related grade/reward structure. Professional career ladders use a competency- or person-based approach to grading rather than a traditional job based approach. The limitation of job evaluation is that, by definition, the process is concerned with jobs not people. Job evaluation determines the size or value of one job relative to another and slots this into a fixed hierarchy. In the modern world of work, particularly in a knowledge based environment, roles are increasingly defined by the individuals performing them rather than by a fixed or predetermined definition of work. Job evaluation is, however, still needed to anchor the career ladder and provide a basis for external market comparison. Provide transparency around the criteria and process relevant to career advancement, thereby aiding retention of professionals. Create flexibility to recognize and reward professionals based upon their individual mix of competencies at each point of their development. Link reward directly to the employee’s level of work contribution as they move along the career ladder continuum. Allow for competency based criteria for promotions rather than traditional measures of service and/or qualifications. Support and provide a clear framework for dual career pathing. Integrate a number of key HR processes such as recruitment and selection, training and development, performance management, career management and grading/ reward. Examine/ determine the organisation’s mission, strategy and values and establish the key human resource requirements emanating from this. Identify the different work streams within the organisation. Establish expert panels representing each work stream and develop scaled contribution models covering outputs, technical skills and behavioural competencies for each level of work within the work stream. Develop a personal value points matrix for each level of work contribution. Apply job evaluation to the sizing of the different levels of work (Benchmark entry, normal and high capability standards), linking this to the value matrix. Develop the pay architecture and rules for pay progression. Assess each professional to determine their placement against the career ladder, thereby ensuring they are recognised and rewarded at the correct level appropriate to their level of work contribution. Develop an implementation plan and change management strategy. While there are clearly a number of advantages to career ladders, this approach is more suited to certain environments than others eg. research environments. One downside which needs to be properly managed is the danger of organisations paying for a level of contribution not justified by operational requirements, although this can be limited through sound system design and rules of application. Importantly, the approach must be aligned with the culture of each organisation and requires a significant investment in upfront training and change management to ensure success. In the right environment, professional career ladders provide a dynamic alternative to more traditional approaches of attraction, retention and motivation of professionals, providing a platform for the integration of a number of HR processes in pursuit of the organisations overall talent management objectives.